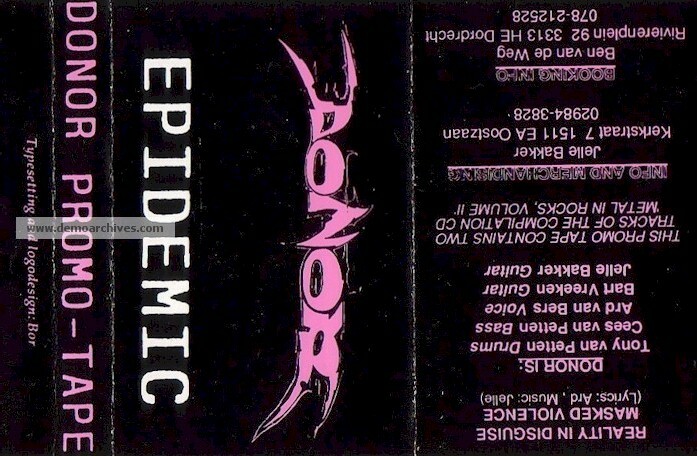 Donor was a progressive thrash band that was active in the first half of the 90's. 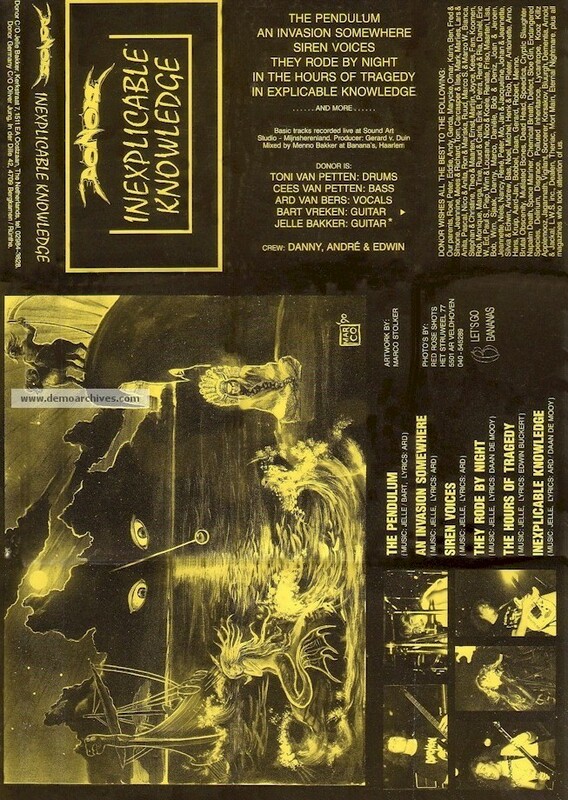 They had a deal with the Belgium quality label Mausoleum Records and released two albums on the label. The first one 'Triangle Of The Lost' is the best known of the two and is said to sound a little like Watchtower with rawer vocals. They split up not long after the release of 'Release', after this split Jelle Bakker (together with Toni van Petten) went to form Frozen Sun that was arguably successful (American tour etc.) and was later part of Within Temptation.